February is National Heart Disease month, and African American history month. I will be doing a series on heart disease since heart disease is the number one killer of African American women. This phenomenon is not new, it is just being diagnosed in increasing rates. There are many reasons for these disparities. I will be discussing how to treat cardiovascular disease, and how to prevent cardiovascular disease. I will also be presenting some “soul food recipes “ that I have converted over to make them heart healthy. I believe that supplements play a role in the prevention of heart disease. 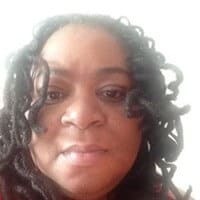 One of the reasons why I believe heart disease affects African American women at a much greater rate is because we don’t have access to health providers as much as other groups do. There is also the problem of adequate health insurance. I will be presenting many resources so that African-American women can get quality care. I have been a cardiac nurse for about 30 years. Over the years, I have seen an increasing amount of women especially African American women being diagnosed with cardiovascular diseases at a much younger rate. This is a frightening statistic. Although there are a plethora of educational resources, the rates for heart disease for African American women have steadily increased. I grew up in Southern Georgia on a farm. 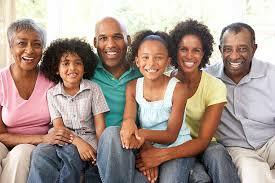 We had a nuclear family which included my parents, my four siblings, and my grandparents. Our lives revolved around love, respect, church, and food. We lived on a farm so we had access to all kinds of farm meats, vegetables, fruit, fruit-bearing trees, etc. During the school year we would get a break, but doing the summer months we would get up at 4 AM and harvest the vegetables and fruits and by 10 AM we would be done. Our entire family would work on the farm, therefore, I cannot remember anyone having any health issues. In fact, my great-grandparents and my grandparents live to be over 80 years of age. We cooked with a lot of saturated fat, sugar, white flour, and salt. Every other Sunday, we would invite the pastor and his wife to our home. This is really where my grandmother which show off her cooking skills. We would have fried chicken, fried fish, collard greens cooked with ham hocks, corn bread, okra cooked in lard, potato salad, homemade pound cake made with butter that we harvested directly from milking the cows! The entire neighborhood what come to my grandparents home because of 1. They knew she had excellent cooking, and 2. The smell of the food would permeate the entire neighborhood! Our entire lives revolved around family and cooking. Whenever someone came to visit our home, you can bet that my grandmother had a nice warm cake to serve them! She would actually get offended if you turned her food down! My grandmother died at the age of 85, and my granddad died at the age of 88. They were the patriarchs of our family, and they held our family together. After they died we sold the farm and moved to Florida. Like I stated earlier, we never had any health conditions in our family. However, when my grandparents’ children moved away from the farm, they started getting cardiovascular diseases at an alarming rate. Did the way we cook contribute to our developing cardiovascular disease? If that was the case, why didn’t my grandparents have cardiovascular disease because they cooked that way their entire lives? Did my grandparent’s children pre-disposed themselves to getting cardiovascular diseases because after they became adults, they left the farm and no longer worked hard physically? Did my aunts and uncles have more stress when they moved to the city and that caused cardiovascular disease? My family members develop type blood pressure, congestive heart failure, and high cholesterol. 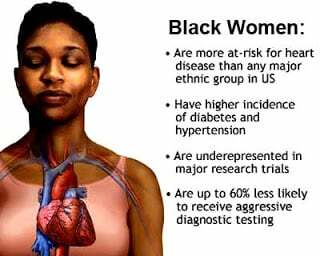 African-American women have a higher rate of coronary artery disease, hypertension, stroke, and congestive heart failure than any other ethnic group of women. 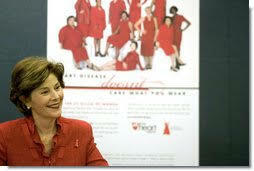 Fact, cardiovascular disease is the greatest color of African-American women in the United States. According to the Centers for Disease Control, 50 percent of African-American women have some form of cardiovascular disease. Heart disease accounts for 25 percent of all African American women deaths. 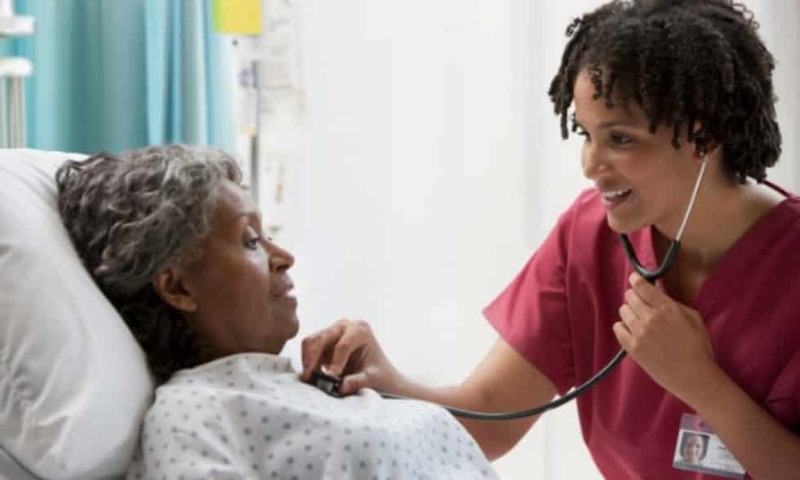 African-American women are twice as likely to have a stroke as any other ethnic group in America, they have more strokes, and their strokes are more severe and debilitating. Although African-American deaths have decreased, we are finding that younger African Americans are dying of diseases that normally people of advanced age are diagnosed with. In Part two I will discuss in detail how my Grandparent’s children have been diagnosed with cardiovascular diseases. Does heart disease run in your family? Do you have heart disease? If so, participate in this discussion by commenting below.